Very important elements of the solar heating systems are also the CSPG solar pump units. 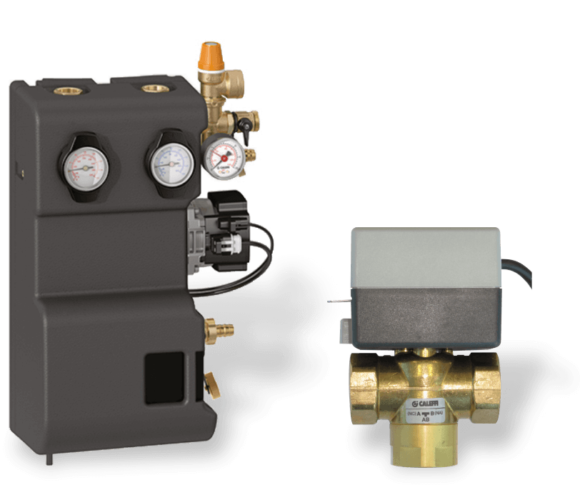 The CSPG-279 HE pump unit contains all the elements (apart from the collectors, water heater with automatic control, solar air vent pot and expanding vessel) necessary for normal functioning of the solar heating system. 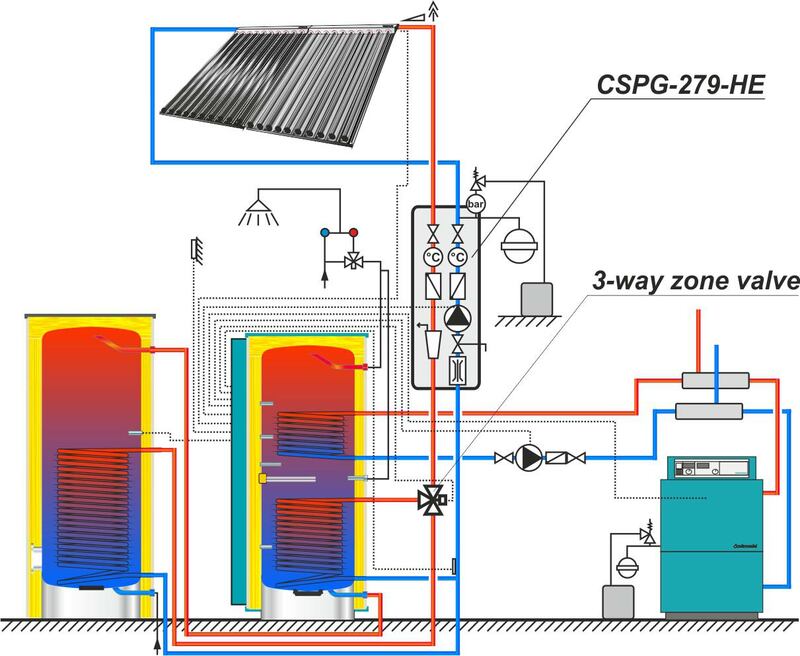 If there is an additional collector circuit or an additional accumulation tank, apart from a CSPG-279 HE solar pump, a 3-way zone valve should also be installed, which enables the expansion of the solar system. All safety elements are included, space saving solar groups have thermal and acoustic insulation and their assembly is straightforward. Built-in circulation pump Grundfos Solar 15-75. Connection for the expansion vessel. They require little space and are simply installed.